Joan Miro (1893-1983) is one of the most significant Spanish painters of the 20th century. His early work clearly shows the influence of Fauvism and Cubism. The Catalan landscape also shapes the themes and treatment of these initial works. 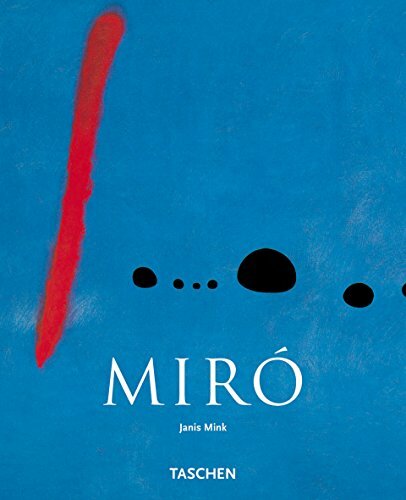 In his travels, Miro encountered the intellectual avant-garde of his time. His friends included Francis Picabia, Tristan Tzara, Andr Masson, Jean Arp and Pablo Picasso. From the mid-twenties onward, Miro strove to leave direct objective references behind and developed the pictograms that typify his style. The pictures of this period, which include perhaps the most beautiful and significant ones of his whole oeuvre, dispense with spatiality and an unambiguous reference to objects. From now on, the surfaces are defined by numerals, writing, abstract emblems, and playful figures and creatures. Nineteen-forty-four saw the beginning of his extensive graphic oeuvre, ceramics, monumental mural works, and sculptures. In these works, too, the Catalan artist sought the solid foundation of a figurative, symbolic art with orientation as regards content: faces, stars, moons, rudimentary animal forms, letters. Joan Miro developed in several stages his characteristic flowing calligraphic style and his world of forms resembling shorthand symbols.